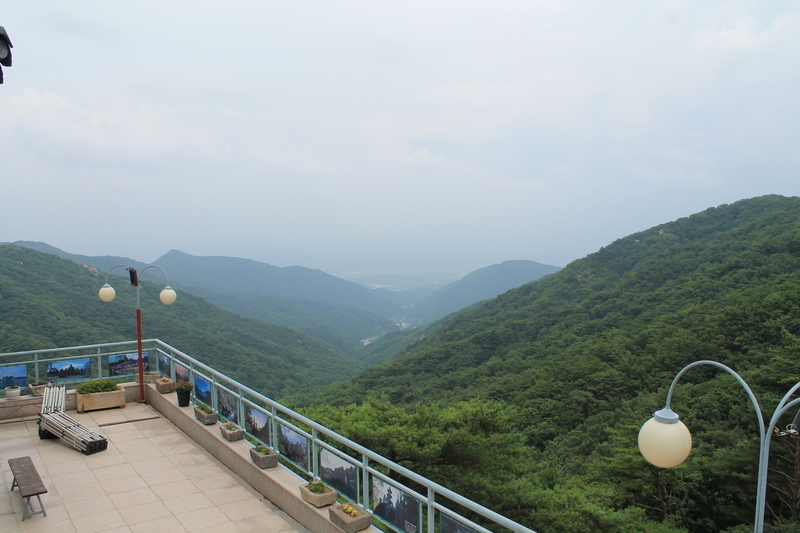 One thing we love about Korea is the mountains. I grew up in Louisiana which is so flat, part of it is actually below sea level, and hubby grew up in Indiana, which is possible even flatter. When we lived in North Carolina we loved that the land had a roll to it with lots of small hills and there were real mountains within an hour’s drive or so. 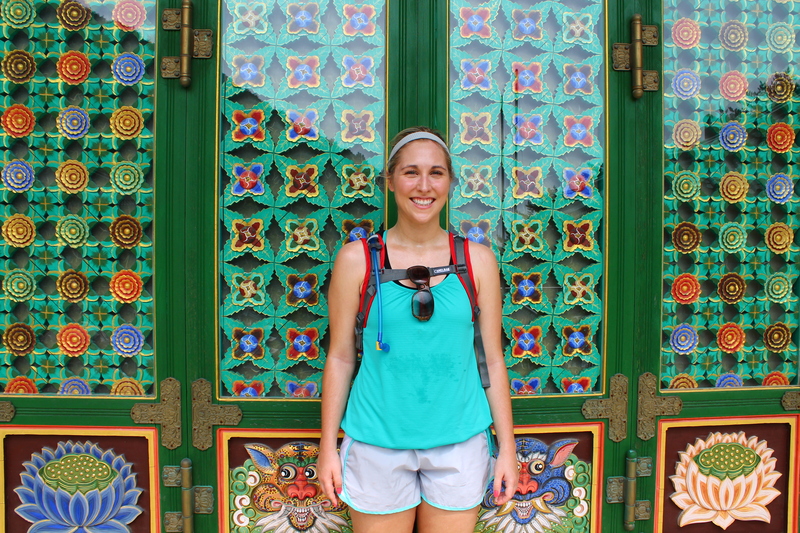 Here in Daegu, we live in a geographic bowl surrounded on all sides by mountains. You can see them any direction you look and you can hike most of them. When we move back to the US we’ll be in South Carolina which might have a few hills, but doesn’t have mountains, and I know we will really miss seeing them every day. 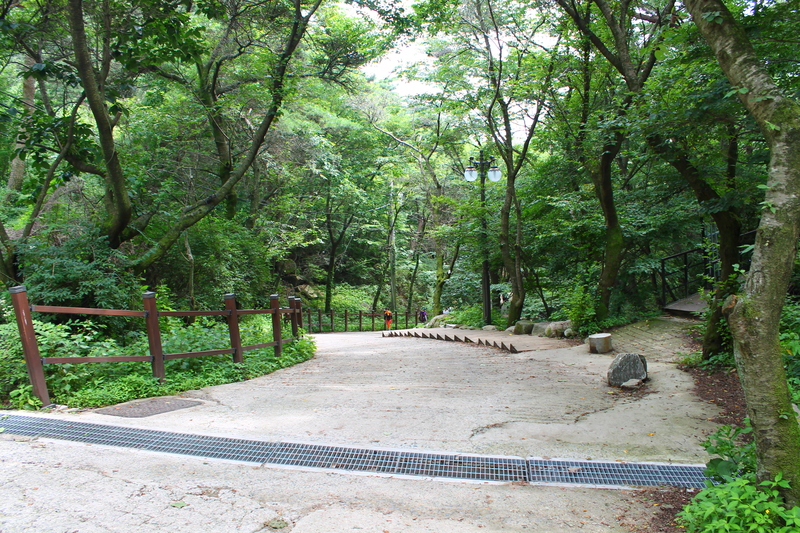 On Saturday we went hiking at Palgongsan which is the tallest mountain in the Daegu area. We’ve only hiked to the summit once since it takes a solid 4 hours to do, but thankfully there are lots of smaller ridges and peaks you can hike to more easily and still get a nice view. The view from the highest place we climbed to. We decided to go on Saturday because it had rained during the week and was supposed to rain again on Sunday so we wanted to take advantage of our window of opportunity. What we didn’t realize was that all of that rain made it unbearably humid and sweat was dripping from our fingers and elbows and noses within minutes. 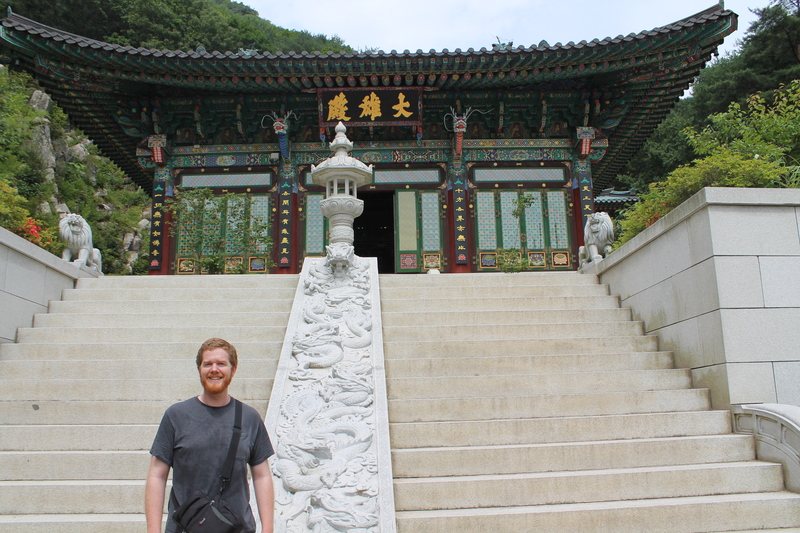 Apart from the heat and humidity, the hike we did wasn’t too strenuous and there were some temples and shrines along the way that we could stop at. We took my parents to this temple when they visited last year and at the time it was decorated with lanterns for Buddha’s birthday. A jillion tiny Buddhas! Dreams do come true! We originally intended to continue on across a ridge to get to another peak, but as we headed that direction it started to thunder. Thunderstorms are extremely unusual here (at least down in the city) so we figured we should probably get off the mountain before it hit. 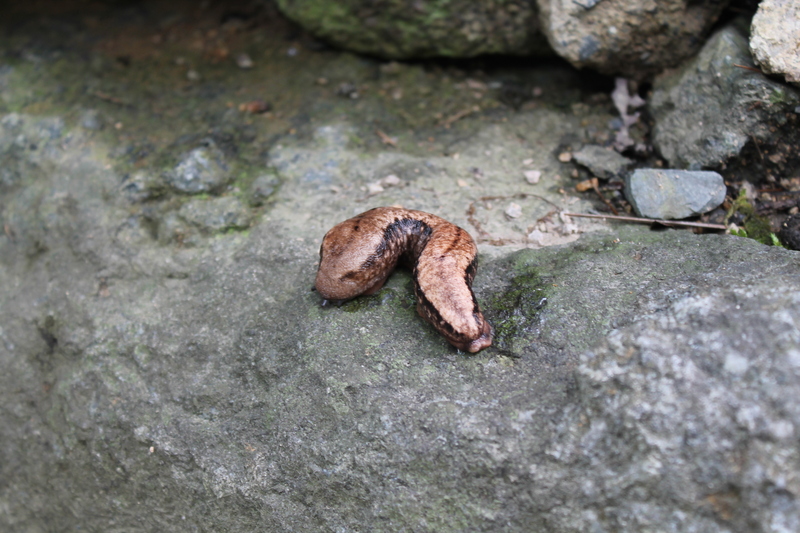 We did get to see this amazing slug that was half the size of my hand. I shall call him Lawrence. 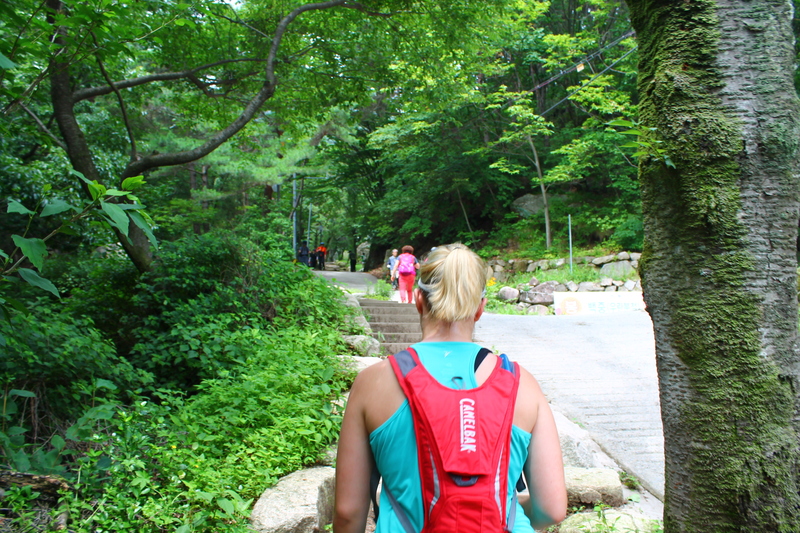 Since we only have four weekends left in Korea, this was probably our last time hiking at Palgongsan. Like everything these days, this was bittersweet. While I’ve moved many times in the past few years, this is the first time I’ll be moving away truly not knowing if I will ever come back to these places again. So while part of me is counting down the days, another part of me doesn’t quite know how to say goodbye. I am so thankful for the adventures we’ve had here, even as I look forward to the adventures to come. If you have an adventure to share, add your link to the link-up by clicking the button below. You can participate in all of the adventures or you can just do a few – no pressure. If you missed last week’s adventure about our visit to the cat cafe, you can find it here. And if you are new to my Fifty-Two Weeks of Adventure project you can find out more about it here. Oh my goodness, that is a huge slug! I have a problem with slugs creeping in under the door from the garden — they come in to eat my cat’s food at night, so I’ve had to stop leaving food down for her at night. I’m not a fan of slugs! I hope you enjoy your last few weeks in Korea. Although I’m sure it will be hard to leave, you’ve made some great memories! Haha, that’s so funny. i didn’t realize they ate stuff like that. 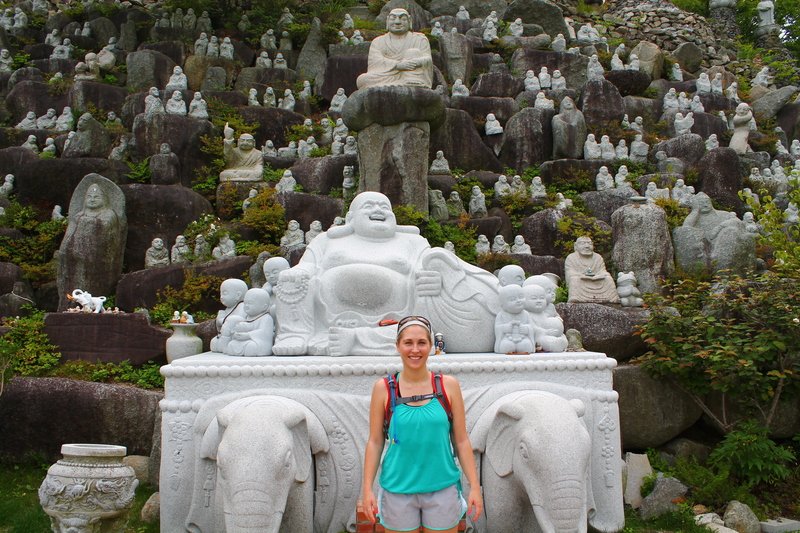 I also like the picture with the tiny Buddhas . While we have mountains in America, a hill of Buddhas would be hard to find. And we have made some great memories. I know this will always be a huge part of our lives, even if it’s short chapter in the long run. I think the view from the first picture is amazing! And that’s seriously a quarter of the way to the top. Maybe a third. Haha. I thought the slug was kind of cute. As long as it doesn’t touch me! 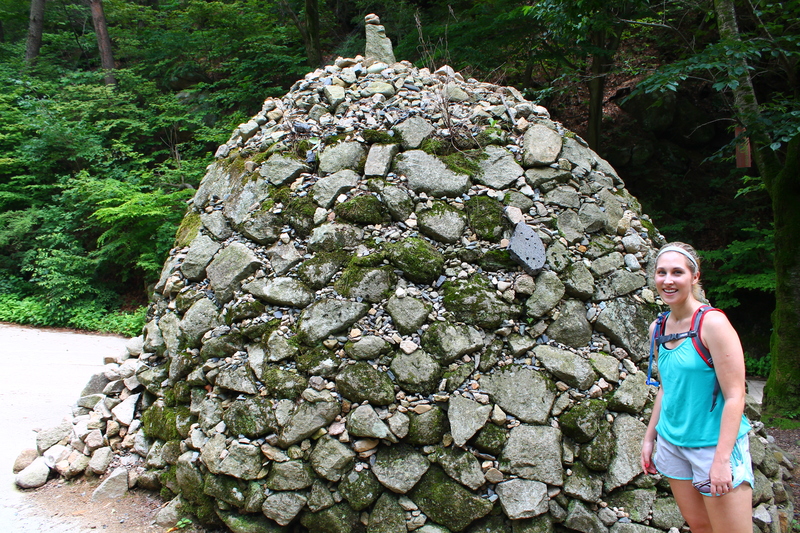 The rock pile amuses me (but I’m not sure why). And the tiny Buddhas! Oh my gosh they’re so funny! I think I’ve transitioned into mostly being excited, but every time we do something like this, something that’s just SO Korean or foreign to American life, I have this twinge of regret for leaving it. Bittersweet is such an apt word.